PlayStation gamers are quite familiar with the legendary survival-horror of the Resident Evil franchise - even the movie versions (and their soundtrack releases) are pretty cool, and we know how lame these game-to-screen translations can be. But, now it is time for Wii players to put away the cuddly Mario Bros. characters and get down and dirty with some intense, horrific action. Leon Kennedy, one of the original Resident Evil characters surviving the horror (created by the Umbrella Corporation) has become a secret agent. He is called on a mission to find the president's kidnapped daughter (Ashley Graham). The creepy, zombie-filled Raccoon City location is switched for European rural (and equally eerie) backwoods, with a host of dodgy characters (and abominable creatures) after your blood (with everything from knives and guns, to chainsaws and teeth!). Other characters include secret agent Ada Wong (who is also playable), an old rival (Jack Krauser), and a mysterious local ex-cop (in addition to the many aggressive cannon fodder out to nail you but bound to get their asses kicked. 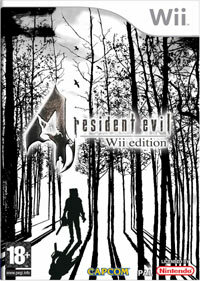 Your inventory of weapons, health aides and objects essential to advance throughout the game is stored in a briefcase as opposed to the trunk of the previous resident Evil titles. 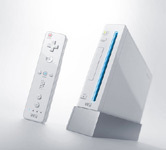 The Wii control and its Nunchuk attachment add a brand new dimension to the game, traditionally bound to the PS controls. Here you get to aim directly at your targets when shooting, or use a physical stabbing motion when fending of an attack with your dagger. This edition contains several new game modes and offers plenty of bonus features to unlock, from special Ada Wong chapters to unlocking new characters.